A couple of weeks ago I detailed our warehouse replacement plans. 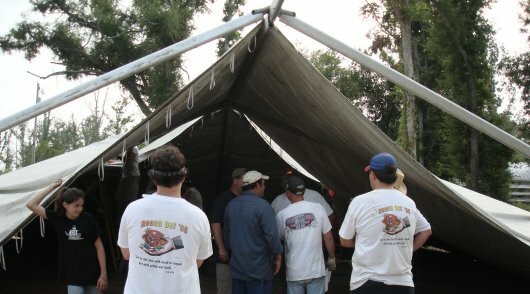 One component involved the erection of a big event tent. 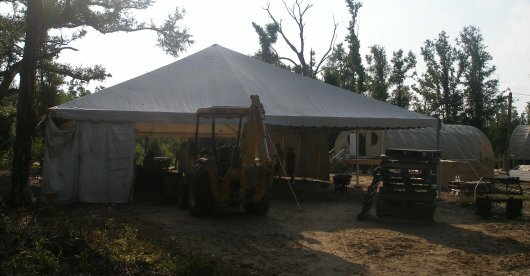 We could not find an asphalt company willing to pour a pad for at least another three months, so instead of placing the tent on the newly required off-site property, we put the tent up here on the church grounds on what we affectionately call the “New Tent City.” this temporary storage area will give us room while we seek more permanent options. 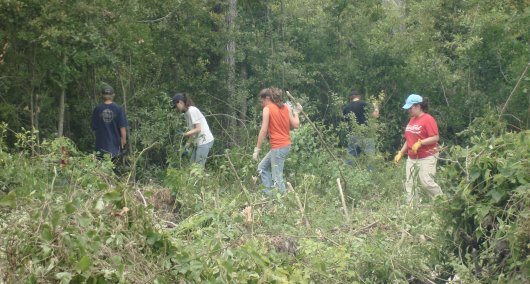 I was astounded by how much work was done the week my group from FBC Athens, AL was there. I didn’t want to go home! So I’m extremely excited that I will be able to come back at the end of July to work again!